These adorable little stars will make excellent accents for your home. The best part? You probably already have all the materials for this project... These cuties are made out of *gasp* a Cheerios box! That's right, a cereal box! I found these little gems over at Creative Creations and knew I must have them! 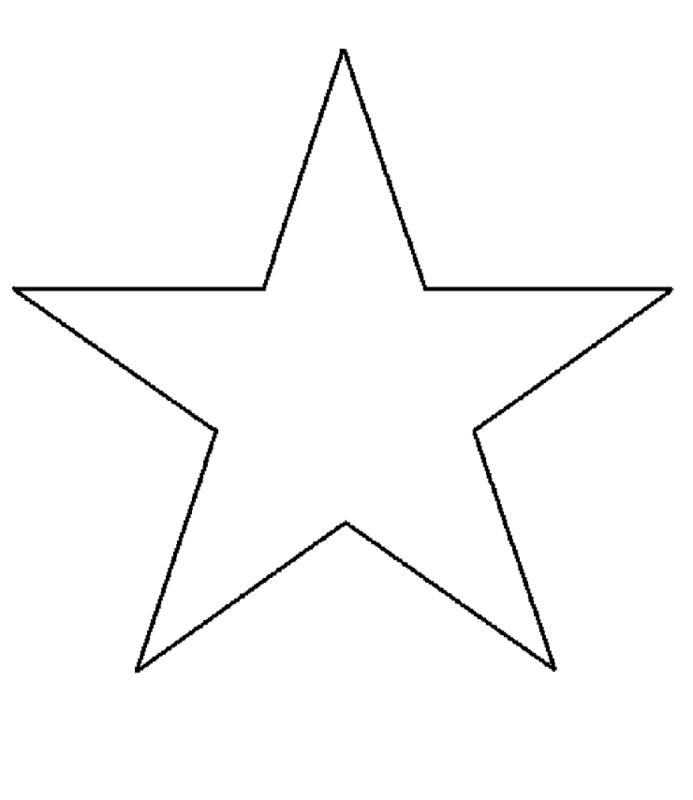 Here is my star template if you need it. Trace your star onto your cardboard and cut out. Draw lines on your star from point to point as shown. Score each line, making it pretty deep but being careful not to cut through the cardboard. This helps when folding the board. I took each point and folded it downwards. Carefully unfold and lay your star down. Mix it up with different sizes and colors! These would be perfect for holidays... red, white, and blue for July 4th or red and green for Christmas!